Party Poker is part of the Bwin.Party Network. See the traffic statistics for this network at PokerScout. To get this Deal, please clear all your Party Poker Poker Cookies in your internet browser. Right after, please visit our Party Poker Deal page and click the big blue sign up button. You will get redirected to the Party Poker registration page using our sign up link. After you registered your account at Party Poker please go back to the PokerMarket website. Enter your username and registered email in the pop up window. You will receive a tracking confirmation email from PokerMarket as soon as possible. The welcome bonus amount is slightly different for different player account currencies. Because of the exchange rates PartyPoker has set a fixed amount for each currency to keep the offer consistent. If your account is in GBP the bonus is £250, in Euros €325 and in dollars $500. A: Party Poker Support and you can ask in this thread. A: The points will be automatically redeemed according to your VIP level so you don't have to take care about it. The software will inform you once you reach another status level and when you unlock rewards. Q: Can I refer my friends to PartyPoker to earn some money? Just as information: They got a new VIP system in April(or March). And instead of getting a bonus for your points you now just get directly cashback but it's only up to 22,22 % now. thank you @kreta, we will adjust the information appropriately. As we did so far, from time to time we will launch exclusive PokerMarket Freerolls which are only accessible for accounts tracked by PokerMarket. With high probabilities we can now do re-tags at PartyPoker. Why would you want a retag of your PartyPoker account? Because we included PartyPoker in our new $25.000 Rake Race + Exclusive PokerMarket Freerolls + Sign Up Up Bonus. 2) Ask PartyPoker Support to close your existing account. Don't explain anything, just a short mail from the mail address connected to your existing Party Account. 3) Create an account using our PartyPoker Link/Big Blue Button. PartyPoker doubles the guarantees on three of there power series headline tournaments on Saturday (30th January)! 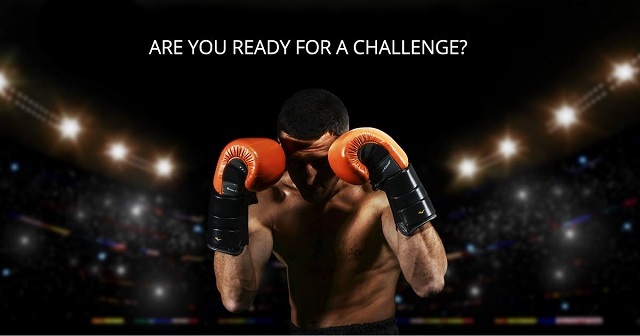 Kick-off is at 20:00 CET for The Jab, The Contender and The Uppercut. Don't miss the chance to get you piece of these huge prize pools for the same low buyin! All events will offer one re-entry. There is a nice Reload Bonus waiting for all inactive players - A good time to give it a try again! Party has set up some country specific Grand Prix Poker Tour Online $500k GTD ticket giveaways. 3 tourneys: Wednesday 16th, 23rd & 30th March 2016. Prize: 1 ticket GTD to the Grand Prix Poker Tour Online on the 3rd April 2016. Then, one ticket for every $109 in the pot. Don't miss it and good luck to all of you! Great news! Additionally to our Deal of the Month benefits, we have another highlight for all new players! Everybody, who signs up through us until Thursday, the 12th of May at 12 pm CET and makes a deposit of minimum $25 will get a ticket for the Partypoker Powerfest worth $22 for free on top of the normal first deposit bonuses of 100% up to $500! You can play in any $22 Powerfest tournament this week, but you need to redeem your ticket by Thursday! Don't miss the chance for some extra value! 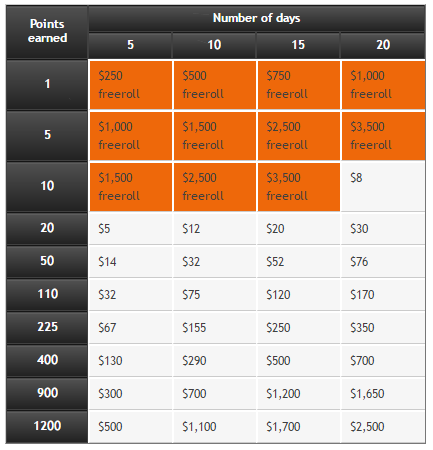 Just play any Power Series tournament with a buy-in of $109 or more to get on the leaderboards. The more you play, the more points you earn. There will be a a new Leaderboard every Monday, giving you 10 chances to bag a prize package! Every week, they are giving away 10 prize packages to the Caribbean Poker Party worth $6,000! Click here for more details and the current leaderboard! A while ago PartyPoker announced the guarantee on the PartyPokerMillion tournament at the Caribbean Poker Party has doubled from $1 million to $2 million. Now they have another awesome announcement, they are increasing the number of $6,000 Caribbean Poker Party packages awarded in their weekly satellite! After increasing the number of packages from 10 to 30, they are now guaranteeing at least 50 packages will be won every Monday! How amazing is that? One buy-in for the $2,750 PartyPoker Million tournament, which features a $2 million guarantee. Return flights for one person. All-inclusive accommodation for one person at the Hard Rock Hotel & Casino in Punta Cana. Don't miss the our December Rake Race and our weekly $100 Freeroll! Top 150 players will be paid with up to $2.5k - paid directly into your poker account! PartyPoker is currently one of the hottest deals with a lot of free money for all new players! You'll receive 45€ for FREE! Powerfest is back, and this time PartyPoker guarantees over $11,000,000 — the biggest in partypoker history! As the weeks go by, the stakesand buy-ins increase, plus each week caps off with its own Main Event, offering a huge Guarantee with a comparatively small buy-in. During Powerfest PartyPoker is running three leaderboards that will award $225,000 in tickets and prize packages to partypoker MILLIONS. To place on the leaderboards, simply play POWERFEST tourneys in the Featherweight/Middleweight or Heavyweight/High Roller levels and climb the leaderboards to place at the top. For more details, please check the partypoker homepage. We wish all of you the best of luck! You don't have a partypoker account yet? Sign up now and earn up to 55€ in Free Money only in January. Great news for new PartyPoker players. All new Party Poker Players will receive now an extra $20 on top of their 100% up to $500 deposit bonus. The $20 will be credited the following day directly by Party Poker after you have made your first deposit. Nothing more for you to do, just deposit and enjoy the free money! And there is another great promotion ... the Gladiator is back! Step into the arena for 20 days of intense poker action and emerge with a prize fit for a champion – from freeroll tickets up to $2,500 in cash you will have the chance to boost your bankroll! From 17th April – 6th May you can enjoy this great promotion. Just make sure to opt-in to the promotion by going to the ‘Promotions’ section in your PartyPoker client! Check the PartyPoker Homepage for more information and make sure to sign-up with us to not miss any benefit! The new Party Reward system is now live and it looks really good.